For me I wanted the name behind my textiles collection to have meaning. 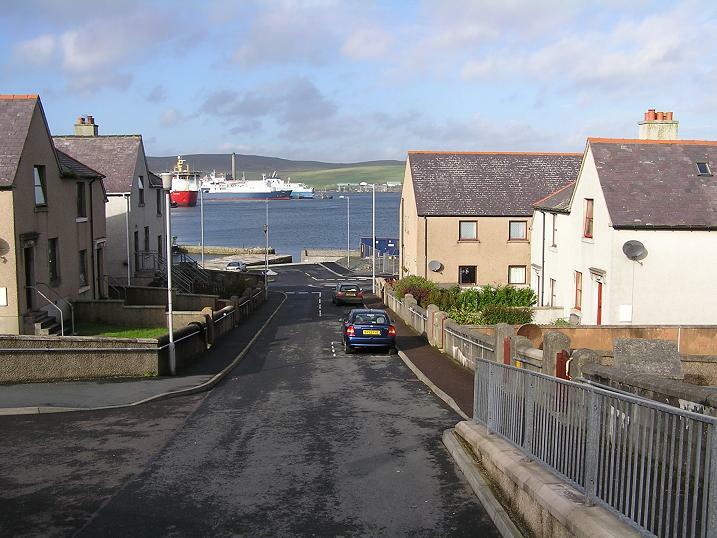 And below I explain a little about this…..
Browns Road in Lerwick, is the road where my dad grew up. He was born there, and my Grandpa still lives in the same house today. We used to stay there at the weekends with my cousins when we were younger, and we would go down to Hays Dock at the bottom of the road. We would spend hours walking around and playing with things we had found. 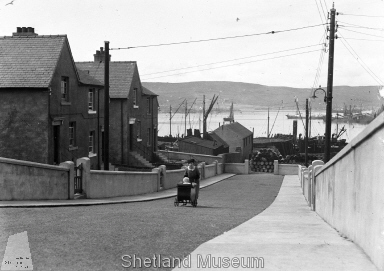 A picture from the Shetland Museum and Archives photo collection, shows what Browns Road used to look like. My grandads house is located just out of this picture on the right. Its quite strange to see the Dock so busy here with boats and machines. The way I remember it, is something like the picture below. Hays Dock was empty, no boats and the factories that surrounded it were closed down. It had an eerie feel to it, almost like everything had just stopped. A view from the top of the road along Commercial Road, these pictures from the Shetland Museum Archives show how there used to be access from Commercial Road down Browns Road, but that was all changed in the late 1990’s and the road was blocked off from the top and access is still only available to residents from the bottom. 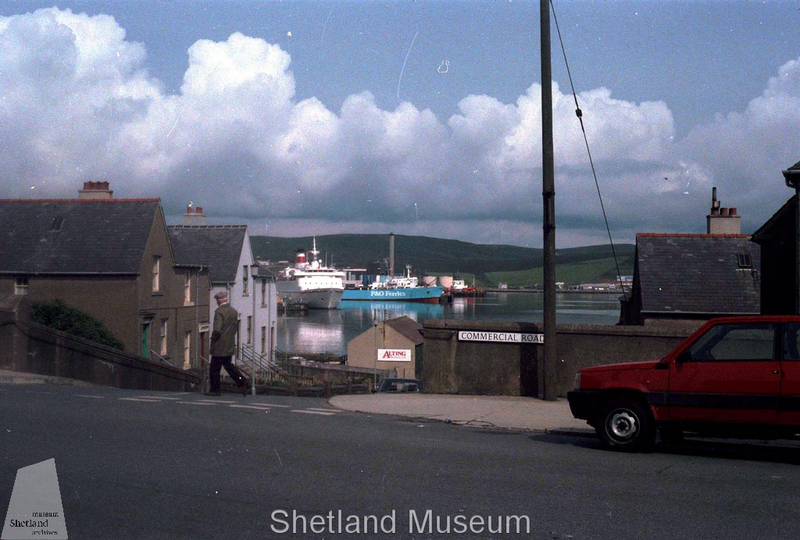 The new Shetland Museum and Mareel is located down at Hays Dock, where we used to play and today the road looks a like this…..
Browns Road may just be a road in Lerwick to some people…but to me, Browns Road is a special place, by the sea. I used to work at Young’s Seafoods at the bottom of Browns Road in the early 1980s. If the second photo was looking down the road, rather than on an angle, it would show some of the huts used as accommodation and as a canteen. For us workers these huts made for very basic living conditions, but the small rooms were free as was the electricity and water. Very convenient for work, too, unless you worked out at the Crab Factory near the P&O ferry site, which I did for about eight months. These were the days of the infamous Grand (Hotel) Disco, the North Star Cinema and Friday lunchtime drinks in the Excel. I was surprised, visiting in 1999, to see the road had been all but sealed off at the top. By then, the factory and the huts had been bulldozed too.